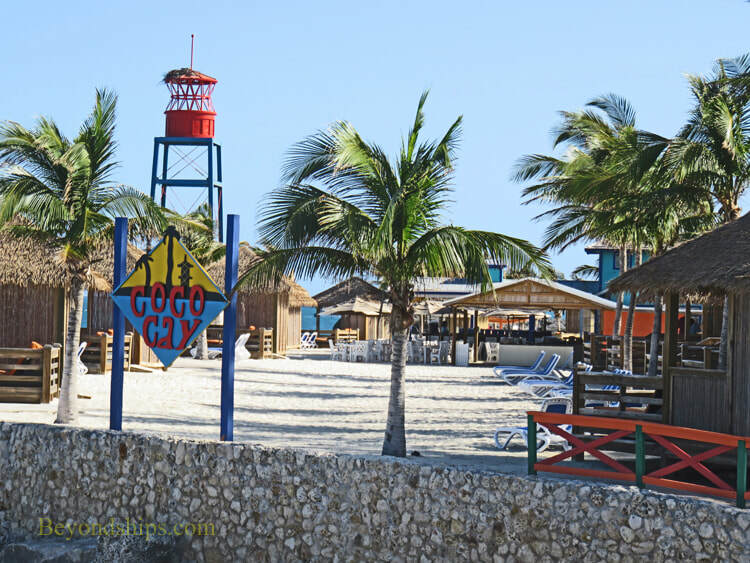 Coco Cay is a private island leased by Royal Caribbean Cruises Ltd, which is a frequent port of call on cruise to the Caribbean and/or the Bahamas by ships of Royal Caribbean International, Celebrity Cruises and occasionally other lines. 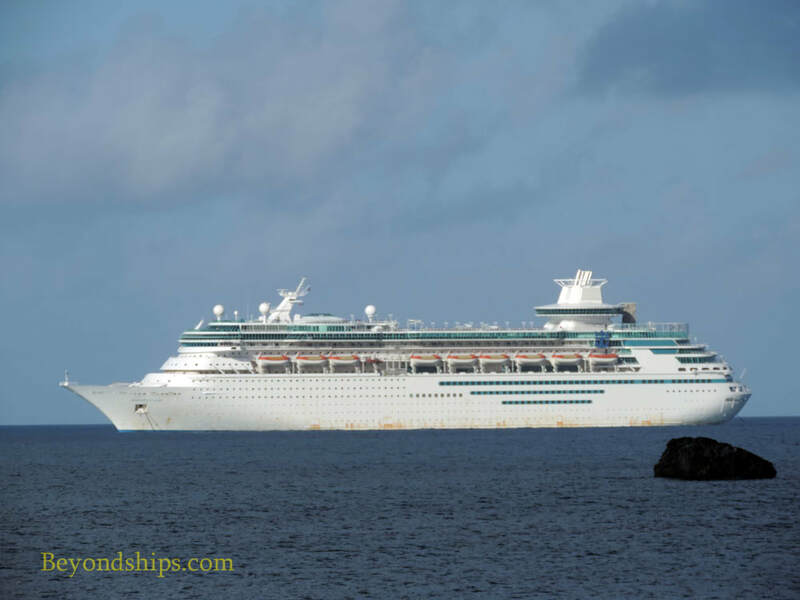 visible from Coco Cay. Since that island houses Norwegian Cruise Lines’ private resort, NCL ships and tenders are often on the horizon. 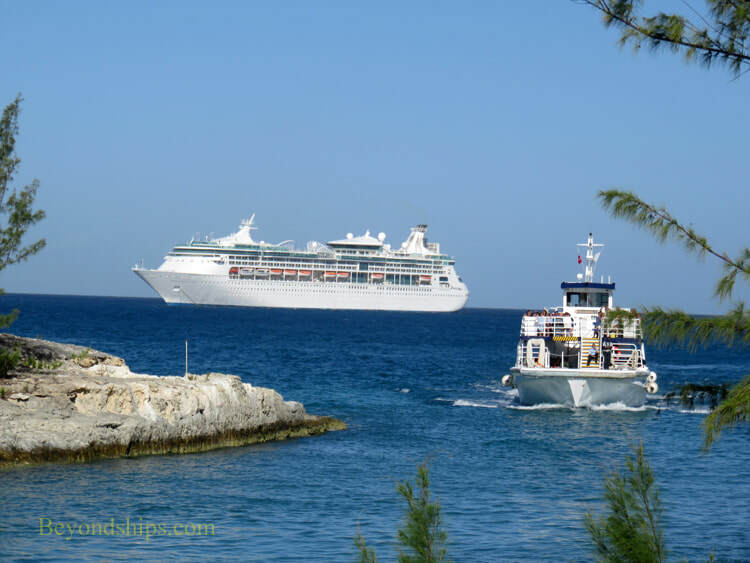 The island was known as Little Stirrup Cay when the first cruise line to use the island Admiral Cruises operated a private beach there. 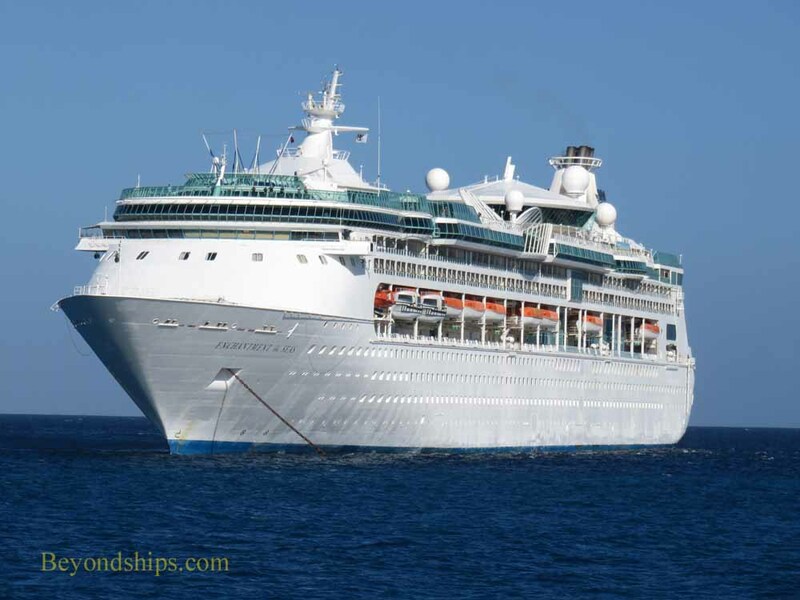 However, following that line’s acquisition by Royal Caribbean, the island was re-named Coco Cay. Royal has invested millions of dollars upgrading the island. guests should be mindful that there is rough coral underneath. and party or one can study nature. There are plenty of ways to have a day in the sun. based on Coco Cay. The tenders deposit and retrieve the guests from a pier that was built for this purpose. The landing is in the more developed part of the island. 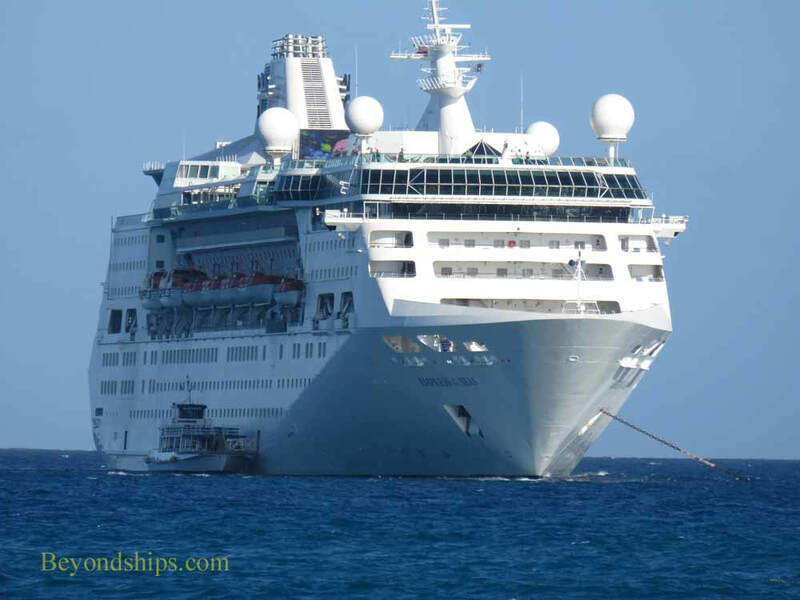 Tendering off Coco Cay: Majesty of the Seas (above left); Enchantment of the Seas (above right); Empress of the Seas (below left); and perhaps surprisingly Carnival Ecstasy (below right).